We have just spent a long week-end at Les Granges. 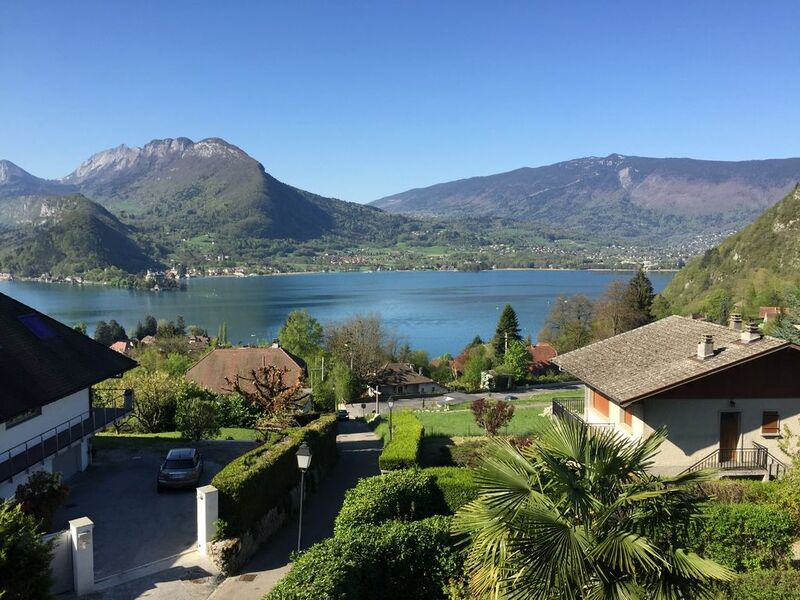 It provided an excellent base from which to explore beautiful Talloires and Lake Annecy. The house has considerable character and provides wonderful views of lake and mountain. Really loved this property - very authentic French house in-keeping with the area - views are amazing from every window and the relaxing patio. House had a welcoming feel to it. Neighbourhood area quiet but local town in easy reach by car. Steep hill walk down to town which we did not attempt as grandparents would not have managed it. Went away with two teenagers and grandparents. Grandparents found bath difficult to climb in and out of (quite deep) and would have found going up to top floor tricky. For us it was fine. No plug for bath. We would definitely return to this property. Lots to do in area and lake swimming is just incredible. Lovely local restaurants. We were well looked after by caretaker. Fabulous. Full of character and an amazing view! The photos of this property don’t do it justice. It is beautifully furnished and has charm and character in every corner. Really feels like a home too and not just a holiday let. The view is incredible from the patio, the first floor balcony and the windows in the second floor. Lots to do around the local area without having to go all the way annecy all the time. Boats in the town, paragliding just over the road and don’t miss the cascades d’Angon or a road trip up to Col de la Forclaz. Lovely stay, with great hosts. We would cerinaly stop here again. We just loved it! The house, the village, the people, everything was great. I would very much recommend this charming house for anyone wanting to visit the area. We would love to come back one day. Thank you so much! Thank you very much and hope to see you soon . "Very nice Location, lovely neighbours, everything as expected. We will come back next year! Sans doute plus agréable au niveau luminosite au printemps et ou en été.bien pour 4 personnes. Very simple to access to Talloires, the most beautiful cities of Annecy's lake. Geneva airport is about 30 minutes and the A43 motorway is about 15 minutes.